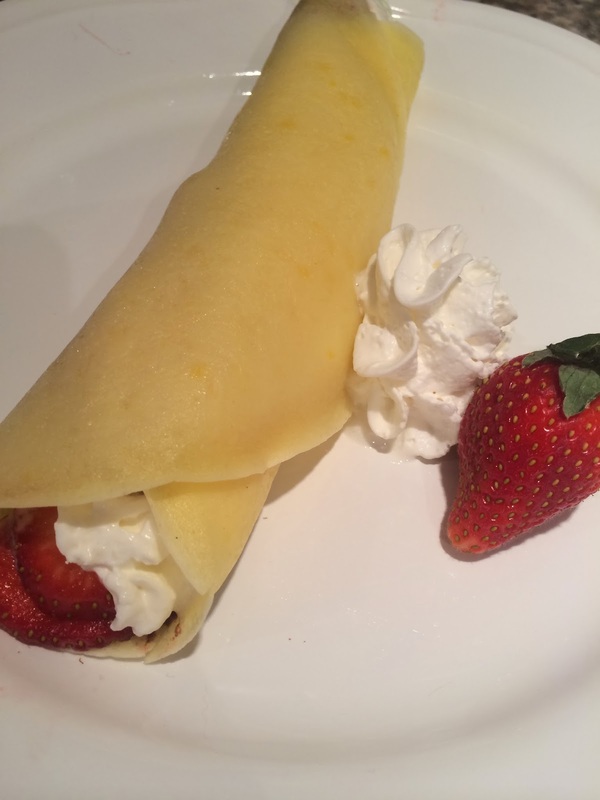 As per special request, I made some homemade crepes from scratch for breakfast today. 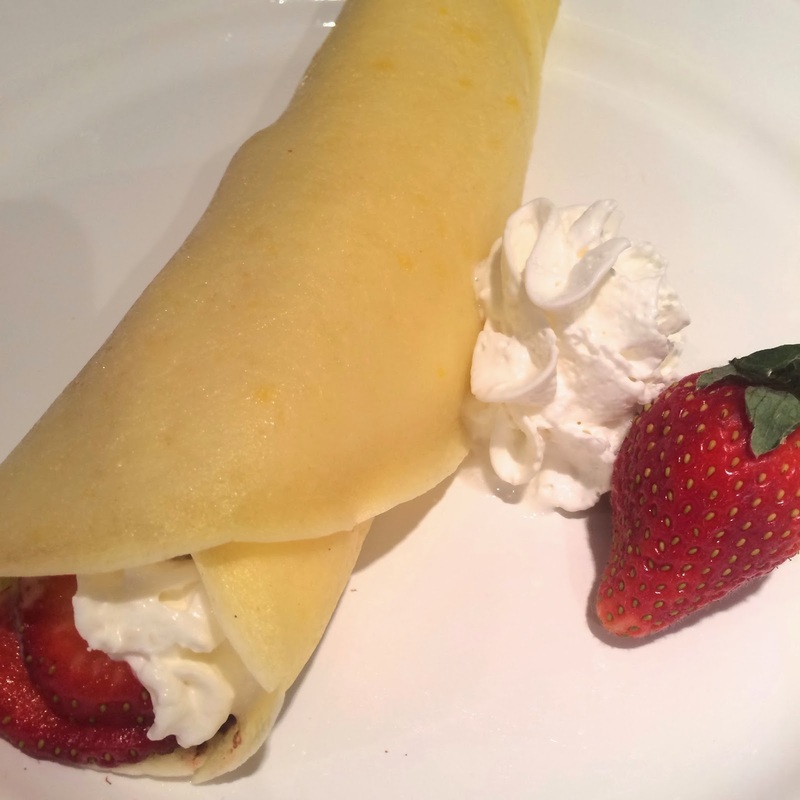 I grew up having crepes for breakfast all the time, but I had never made them myself. 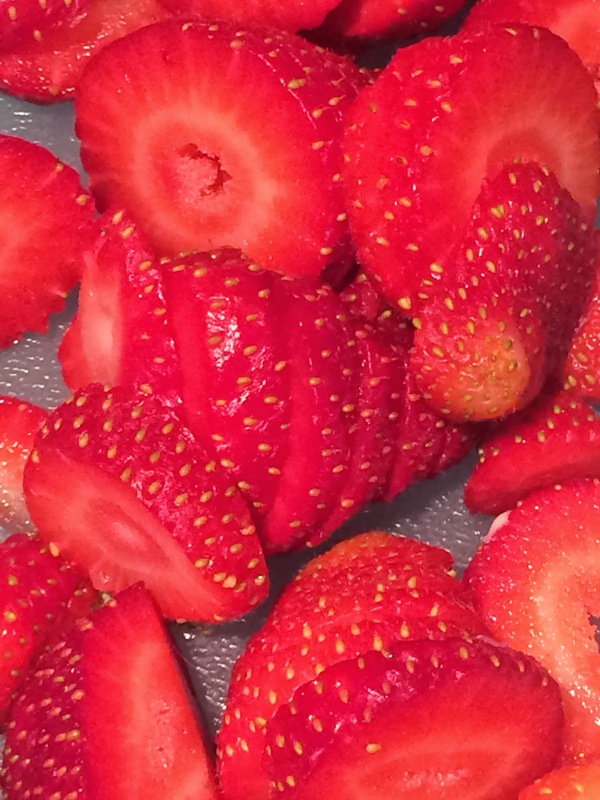 I was a little skeptical, but this recipe actually was amazing! 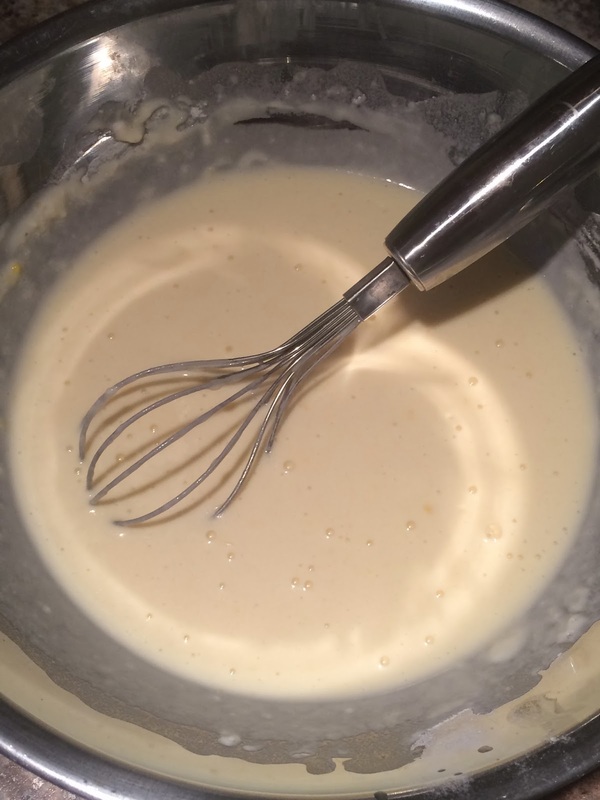 In a medium size bowl, add the flour, and slowly whisk the egg, milk and water. I recommend beating the egg with the milk and water before, so there are no eggy pieces in the crepes. Next add the salt and melt the butter, and whisk into the mixture. Put a skillet or frying pan on medium heat, and lightly grease the pan with oil or butter (I tried both - works perfect with either). 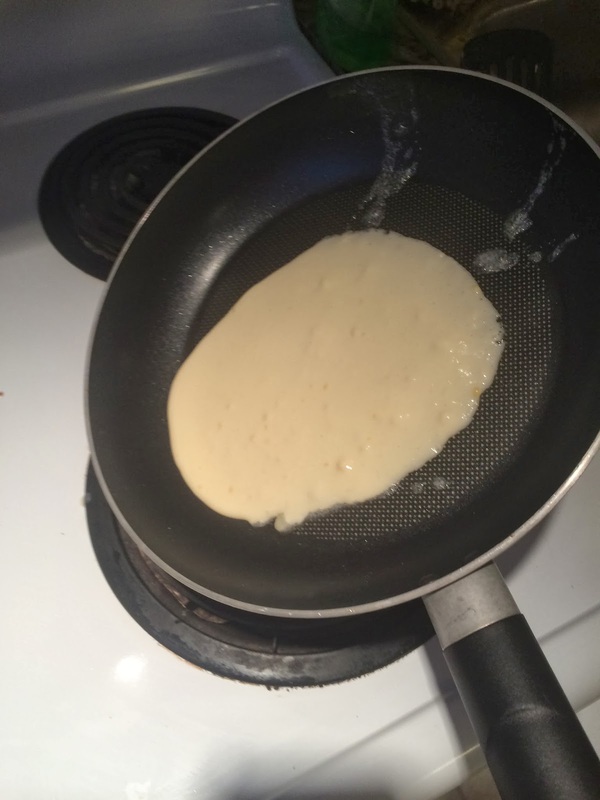 Depending on the size of crepe you want, add between 1/4 cup to 1/2 cup of batter to the middle of the pan, and then lift the pan to tilt the batter (all around in a circle), and spread it evenly. I used 1/2 cup, and it filled my 10.25" frying pan perfectly. 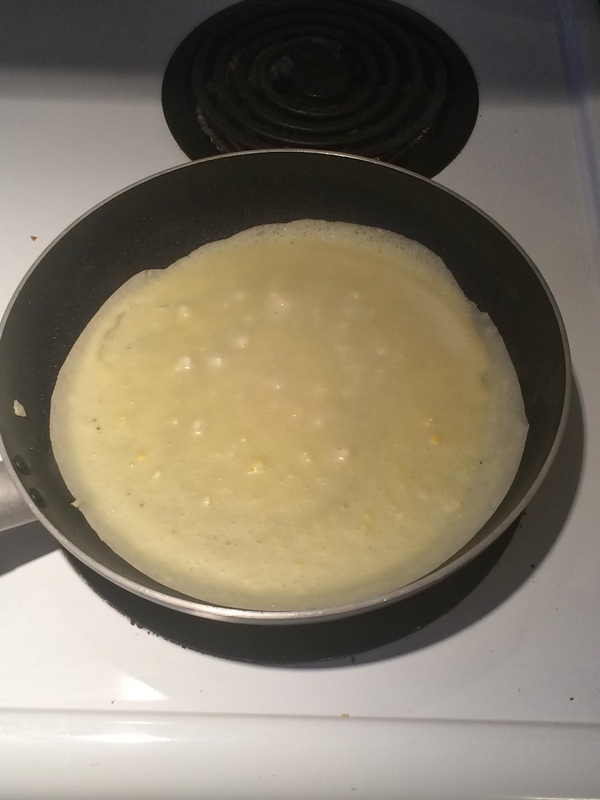 I try to shake the frying pan a little to see when the crepe is ready to flip. 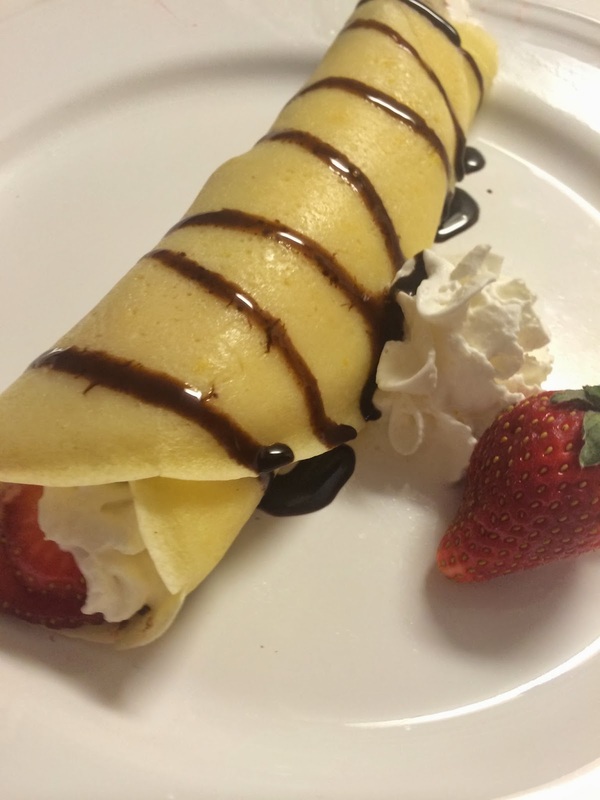 If you shake it, and the crepe moves, you can flip it over. If it sticks, leave it a little longer. 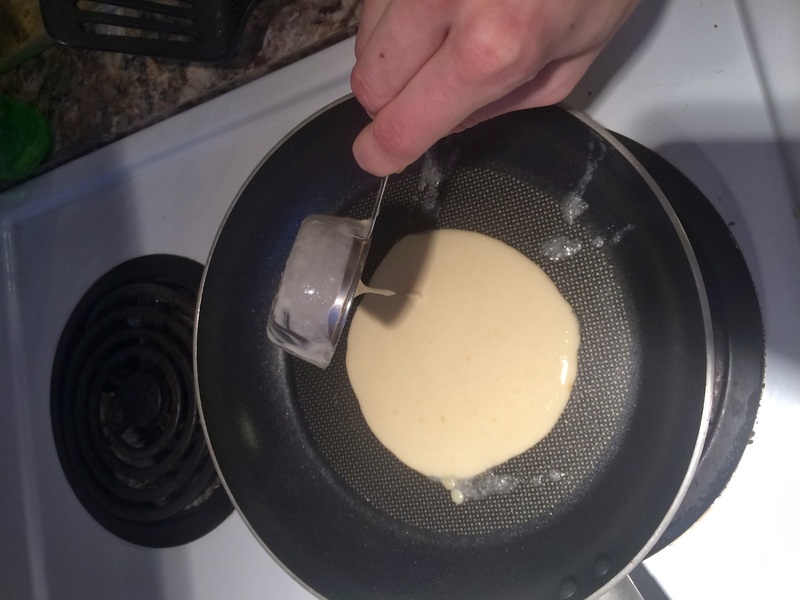 The batter on the top of the crepe should be cooked. 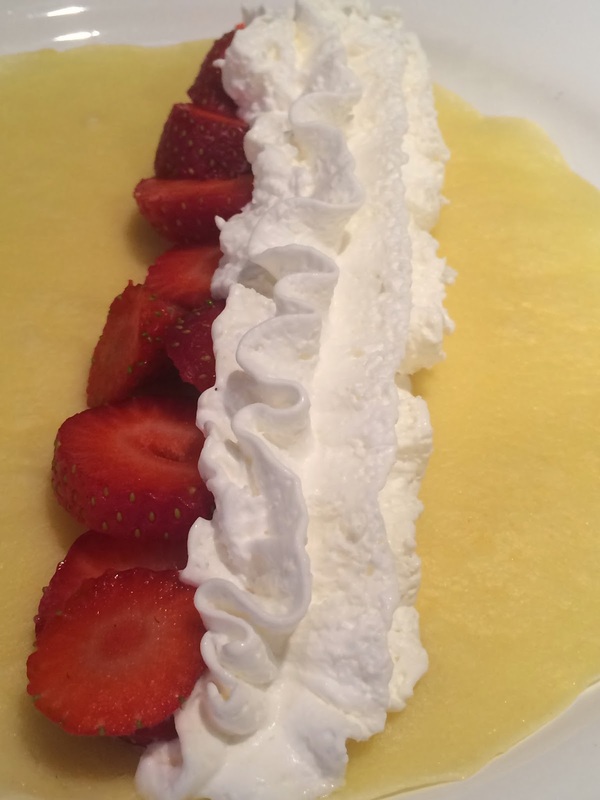 I flip my crepes a few times, until they are perfect. Personally, I love chocolate and strawberries, so i put a line of nutella, a line of cut strawberries and a line of whipped cream. Then I drizzled a little chocolate sauce over the top. 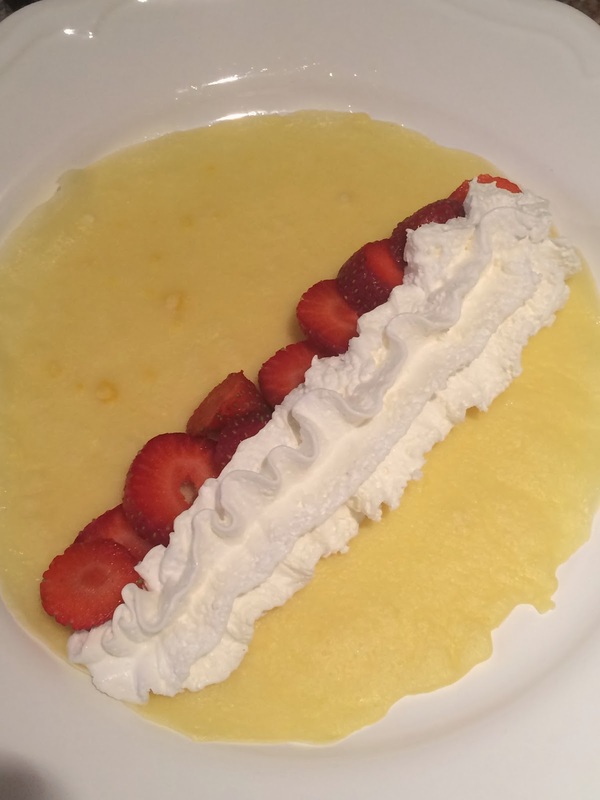 I'm sure theres millions of other crepes to try, but those are some of my favourites.